Breastfeeding does so much more than just provide a source of nutrition for your child. It can also comfort him when he's sick, calm his fears when he's scared, soothe his pain when he's injured, and help him to fall asleep when he's tired. Children feel safe when they are at the breast, wrapped up in the warmth and comfort of their mother's arms. So, it's only natural that infants and toddlers will nurse even when they aren't hungry. Newborns and infants need to breastfeed often to grow at a consistent rate and stimulate the production of a healthy milk supply. But, there may be times when your baby seems to want to spend even more time at the breast. In the beginning, it may be difficult to tell if your baby is nursing all the time due to a growth spurt, a strong desire for non-nutritive (comfort) sucking, or hunger due to a low milk supply. If your baby is going through a growth spurt, the constant nursing should only last a few days until your milk supply increases. If it lasts longer than a few days, take your baby in to see the pediatrician to have her weight checked. As long as your baby is growing and gaining weight, you can be sure she is getting enough milk. If it is just a strong desire for non-nutritive sucking, you can put your baby to the breast as often as your baby wants to nurse. Comfort nursing will not harm your child. But, if you aren't comfortable with the amount of time the baby is spending at your breast, you can try to carry your baby around in a sling or other baby wrap. The feeling of your body and your heartbeat along with the movement of walking around can help to comfort your child. Another option is to offer your baby a pacifier. Once your baby is breastfeeding well and your milk supply is established, the use of a pacifier should not interfere with successful breastfeeding. There is no cut-off age when breastfeeding needs to end. By the time your child is a toddler, she will be getting the majority of her nutrition from other food sources. Toddlers may nurse less often, but the time they spend at the breast is still nurturing and valuable. As your baby grows and becomes more independent, she can feel confident knowing that she can still go back to you for comfort, security, and that special feeling of closeness. The American Academy of Pediatrics recommends the continuation of breastfeeding for at least one year and then as long as each mother and child chooses to continue after that. The World Health Organization (WHO) and UNICEF both recommend breastfeeding for at least 2 years and beyond. Breast milk continues to provide health benefits to older children. And, more importantly, the breastfeeding relationship provides growing children with emotional and psychological benefits, as well. Comfort nursing can also be used at bedtime. Nursing can calm down a fussy child, and many little ones like to fall asleep at the breast. It's not harmful to nurse your child to sleep, however, once your child is asleep, it's best to break the suction of the latch and remove your baby from the breast. If your baby spends long periods of time sleeping while still attached to your breast, it can increase the risk of dental cavities. If you want to breastfeed an adopted child, you have a true low milk supply, or you decide to give your baby a bottle, you can still breastfeed for comfort. Nursing after or in between another source of feeding can be a wonderful experience for both you and your child. Plus, even when you are just nursing for comfort, your baby may still get some nourishment from your breasts. Comfort nursing is a natural part of breastfeeding. 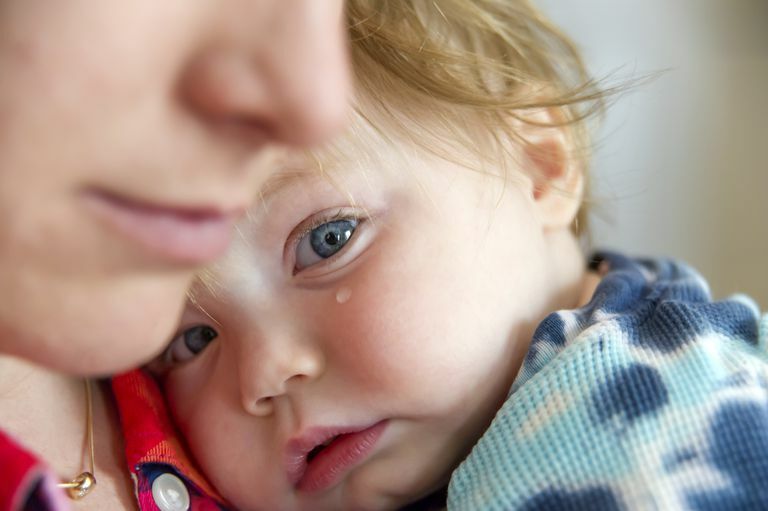 It will not spoil your child and there is no evidence that comfort nursing is harmful or that it will cause any negative psychological issues in older children. As long as you and your child are happy and enjoy your nursing relationship, there is no reason that you cannot nurse for comfort. Gray, L., Miller, L. W., Philipp, B. L., and Blass, E. M. Breastfeeding Is Analgesic In Healthy Newborns. Pediatrics. 2002. 109(4); 590-593. Gribble, K. D. ‘As Good As Chocolate’ and ‘Better Than Ice Cream’: How Toddler, and Older, Breastfeeders Experience Breastfeeding. Early Child Development and Care. 2009. 179(8); 1067-1082.